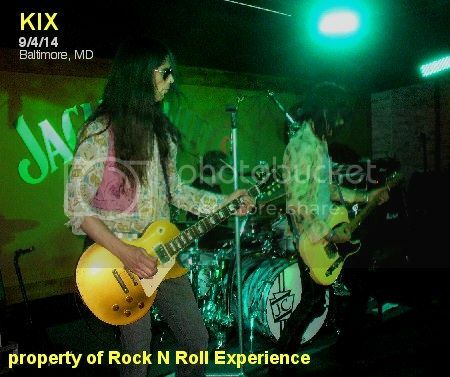 KIX played a very special, private show for 98 Rock in Baltimore on September 4, 2014 for the NFL’s 2014 kick off. The crowd was a select few who were lucky enough to win their way in and at 8:30 PM “That damn KIX band” took the stage to rock out for 30 minutes! 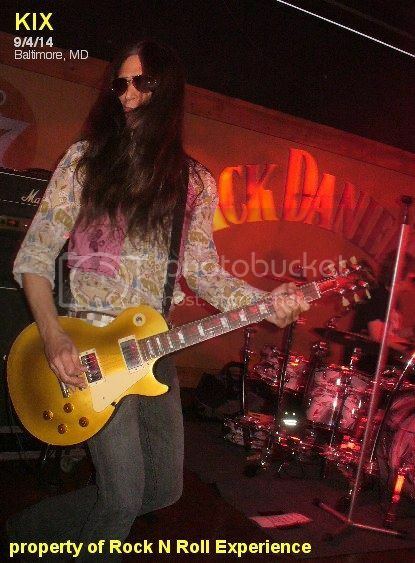 Steve Whiteman commented that 30 minutes was no where near enough time for the KIX boys to jam. They were only given 30 minutes to play because they are performing at Rams Head Live in 2 weeks. The show opened with 2 brand new songs and closed with the bands latest single “Top Down”. The hand full o’ songs played was just enough to get the crowd worked up and it ended way too fast! The band sounded amazing and seeing them on a really tiny stage where the band doesn’t even have room to move around shows just how strong they are as players. The bond between Ronnie & Brian’s guitar playing is perfect because they both play well off each other & their styles overlap just enough so that they both add their own flavor to the bands sound. During “Cold Shower” a roadie attempted to hand Steve an umbrella to use as a stage prop but Steve was so into his performance he didn’t even notice the roadie! 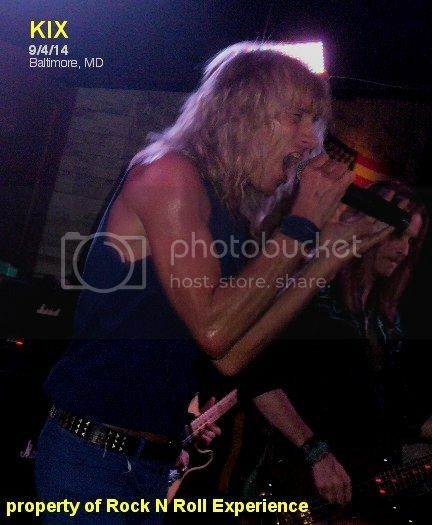 You will rarely if ever see KIX play a stage this small and this show was a very rare treat for those lucky enough to attend!